As a swim instructor for the past 20 years, I have had swimmers of all ages and abilities. Some wore goggles and some did not. It is not mandatory to wear goggles while swimming. But... for the next few paragraphs, I am going to explain some benefits of wearing them. Most babies and young swimmers don’t want anything to do with goggles mostly because they are just not used to the tightness around their head and the suction around their eyes. I do not recommend forcing anyone to wear them. I usually encourage parents to start trying to get their child to wear goggles at home (where they are comfortable) in the bathtub. As an instructor, I have realized sometimes getting a child to wear goggles gets them going under the water more easily because they realize how clear the water is compared to the blurry look without the goggles. I have had beginners very hesitant about putting their face in water and then we put on a comfortable pair of goggles and it is amazing how excited they get about it. Then there are the swimmers that we can’t get to come out from under the water because they are too busy exploring everything. You just want to make sure that the child is blowing out slowly and knows to come up out of the water when he/she needs a breath. The more advanced swimmers don’t ever want to swim without goggles. This is when the instructors, sometimes, will make their swimmers swim without goggles so they are not dependent on them. Why Do Instructors/Coaches Require Swimmers to Sometimes Swim Without Goggles? It is vital that children are comfortable swimming with or without goggles so they don’t panic in an unexpected situation. 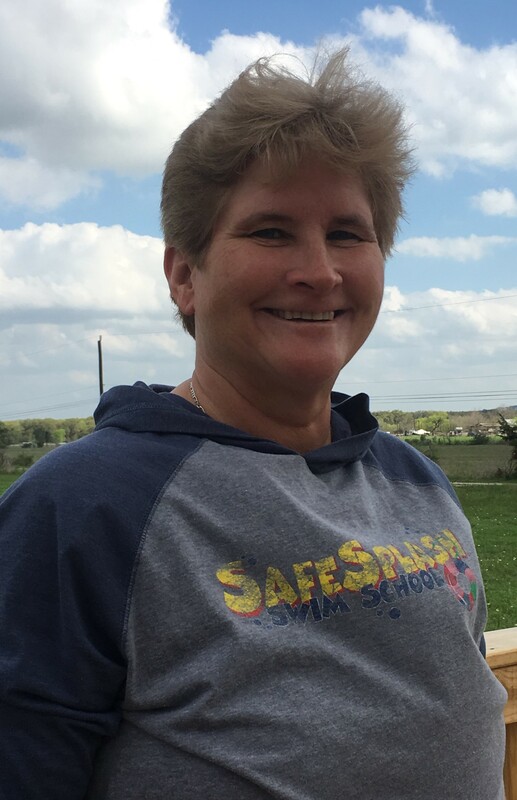 In swim lessons, the instructor wants to make sure the swimmer knows that he/she can swim without goggles just in case he/she were pushed in or fell into a body of water and was not wearing goggles. Also, in competition, coaches want to make sure their swimmers aren’t dependent on goggles either. I have seen many times in a swim meet the child dives in and their goggles slip down to their chin. Hopefully, the child was willing to swim without the googles and would still try to win the race. Otherwise, they show their dependence on goggles and hesitate, or even worse, they stop to fix their goggles and most likely would get disqualified from the race. Swimming without protecting your eyes from the water can result in redness and irritation. The reason redness and irritation occurs is due to the pH levels in the pool. If the pH is too high, the chlorine in the water won’t be able to disinfect properly and keep both the pool and the water clean. If the pH is too low the pipes in and around the pool will corrode. When the pH level is perfect it will help prevent eye discomfort and help with disinfection. Unfortunately, the perfect pH range is very small and it is hard to control in pools that are very large. It is likely that the chemicals won’t be exactly as they should be and you will experience redness and irritation if you don’t protect your eyes while in the pool. For medical and other associated reasons, some people must wear goggles - such as for prescription purposes. There are prescription goggles available for people needing them. If you swim with your eyes open and wear contacts, chances are good that they will fall out and be lost. Finding a contact on land is hard but in the water it is almost impossible. If you wear contacts in the pool and lose them you won’t be able to see when you are out of the water either. Some people try to swim with their glasses on, but this still doesn’t protect your eyes from the chemicals in the pool. If you worry about not being able to see without glasses or contacts but want to see while in the pool, consider prescription goggles. My nephew, Colby, at age five when he was on the swim team. I think he had more fun “hamming it up” between his races. FYI: It is not recommended to wear goggles the “Colby Way”. If you are looking for a good set of goggles, take a look at our store. 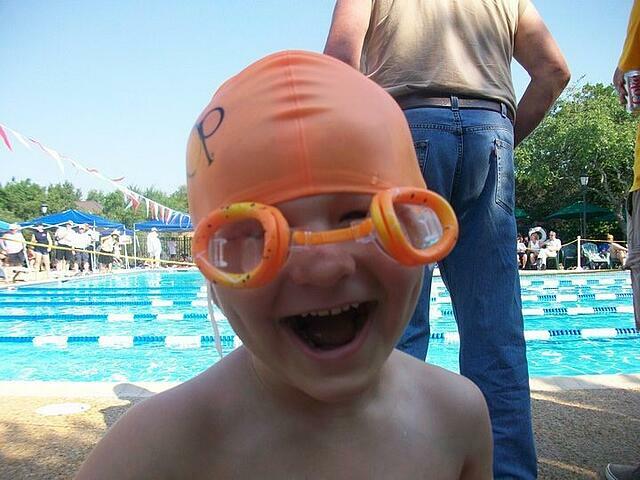 We have a great selection of goggles and swim caps for your little swimmer! Most babies and young swimmers don’t want anything to do with them. Mostly because they just are not used to the tightness around their head and the suction around their eyes. I do not recommend forcing anyone to wear them. I usually encourage parents to start trying to get their child to wear them at home (where they are comfortable) in the bathtub to get them used to it. As an instructor, I have realized sometimes it gets the child going under the water easier because they realize how clear the water is compared to the blurry look without the goggles. I have had beginners very hesitant about putting their face in the water and then we put on a comfortable pair of goggles and it is amazing how they get excited about it. The more advanced swimmers don’t ever want to swim without them. This is when the instructors, sometimes, will make them swim without them so they are not dependent on them. It is vital that children are comfortable swimming with or without goggles so they don’t panic in an unexpected situation. 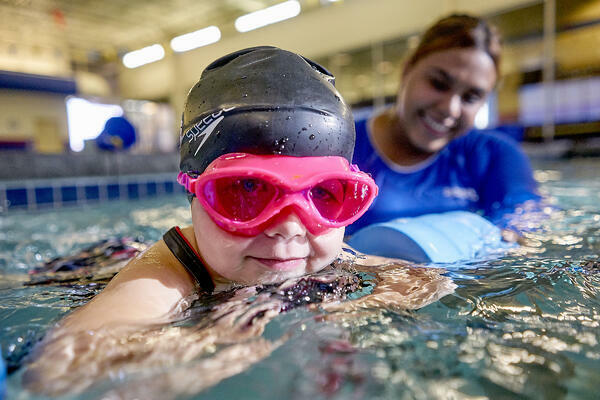 In swim lessons, the instructor wants to make sure the swimmer knows that he/she can swim without goggles just in case he/she were pushed in or fell into a body of water and was not wearing goggles. As well, as in competition, the coach wants to make sure the swimmers aren’t dependent on goggles either. I have seen many times in a swim meet the child would dive in and his goggles slip down to his chin. Hopefully, the child was willing to swim without the google and still try to win the race. Or he is dependent on goggles and hesitates or even worse he stops to fix his goggles and most likely gets disqualified from the race. Swimming without protecting your eyes from the water can result in redness and irritation. The reason redness and irritation occurs is due to the pH levels in the pool. If the pH is too high, the chlorine in the water won’t be able to disinfect properly and keep both the pool and the water clean. If pH is too low the pipes in and around the pool will corrode. When the pH level is perfect it will help prevent eye discomfort and help with disinfection. Unfortunately, the perfect pH range is very small and it is hard to control in pools that are very large. It is likely that the chemicals won’t be exactly as they should be and you will experience redness and irritation if you don’t protect your eyes while in the pool. If you swim with your eyes open and wear contacts, chances are good that they will fall out and be lost. Finding a contact on land is hard but in the water, it is almost impossible. If you wear contacts in the pool and lose them you won’t be able to see when you are out of the water either. Some people try to swim with their glasses on, but this still doesn’t protect your eyes from the chemicals in the pool. If you worry about not being able to see without glasses or contacts but want to see while in the pool, consider prescription goggles.